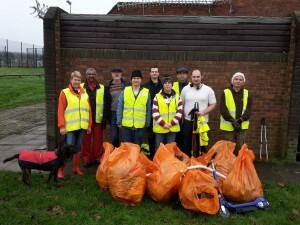 Councillors and residents pre clean up. 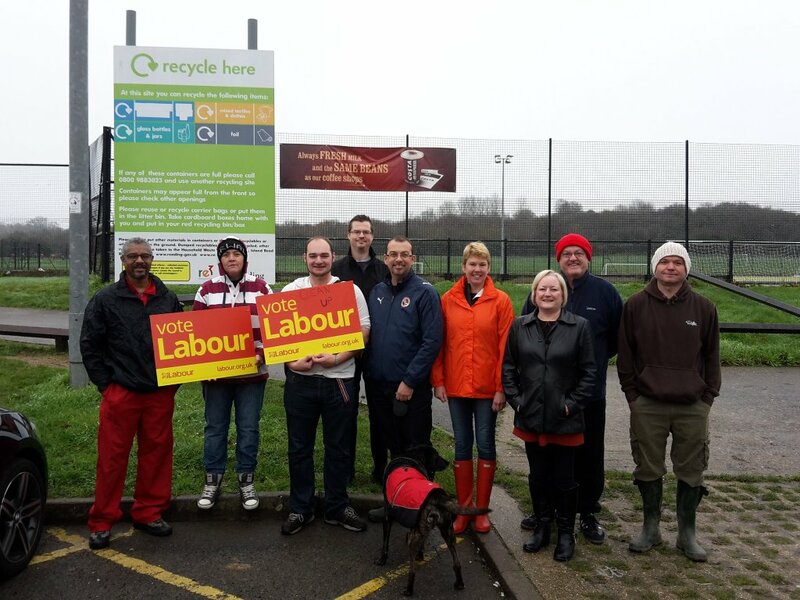 Councillors and residents braved the cold and damp conditions to collect over ten bags of rubbish from Rabsons Rec this weekend. 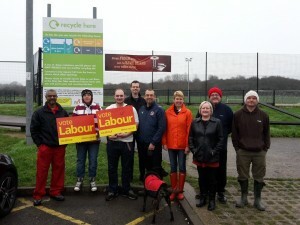 After local residents had made Councillors aware of the Rec looking a bit grubby, we got in contact with the Council who provided the equipment and collected the rubbish, whilst Labour Councillors and residents provided the man power. If there is anywhere in Church Ward that you think could do with the clean up treatment, please let us know. This entry was posted in Ward News on December 13, 2015 by Ashley Pearce.